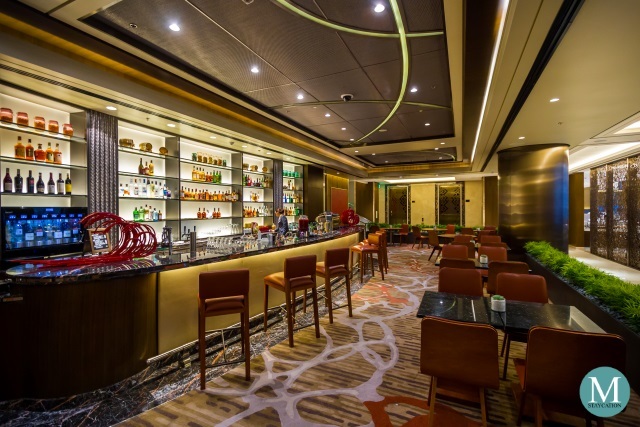 Sheraton Manila Hotel (马尼拉喜来登酒店) is a luxury hotel located within the Resorts World Manila integrated resort complex and just across from the Terminal 3 of Manila's Ninoy Aquino International Airport. 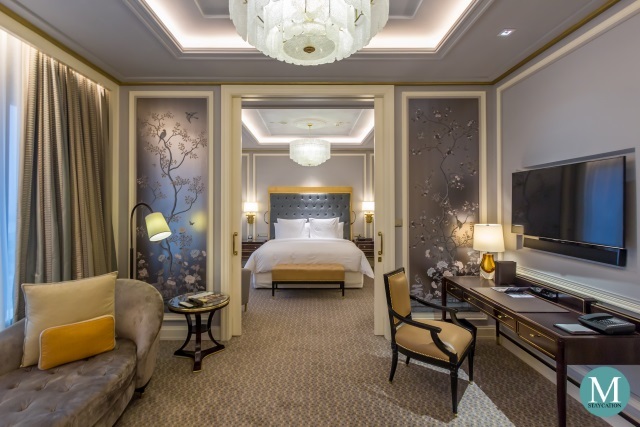 Sheraton Manila Hotel opened last January 14, 2019 and is the first Sheraton Hotels property to open in Manila in more than 20 years. 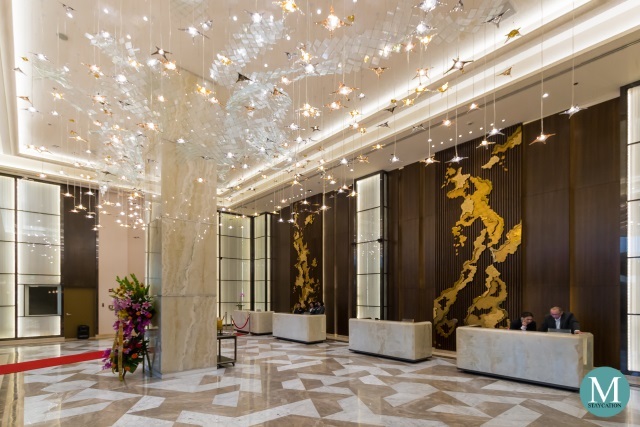 Walking into the lobby of Sheraton Manila Hotel, you will instantly feel the strong Filipino influence in its interiors. The marble floor for example resembles the patterns used in making native bamboo mats. 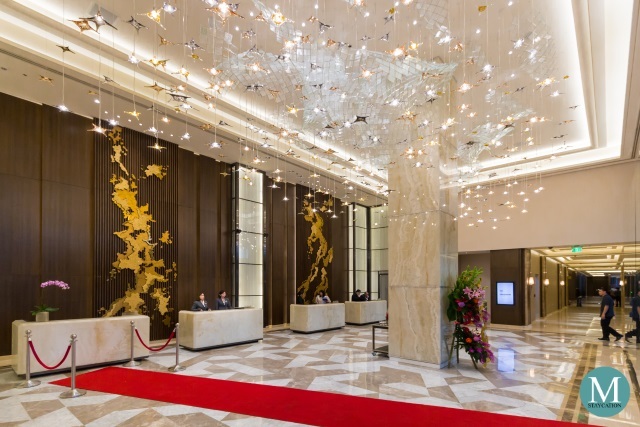 The lobby also celebrates the Manila-Acapulco Galleon Trade where the lights suspended from the ceiling represent the stars which guided the sailors to navigate the high seas. 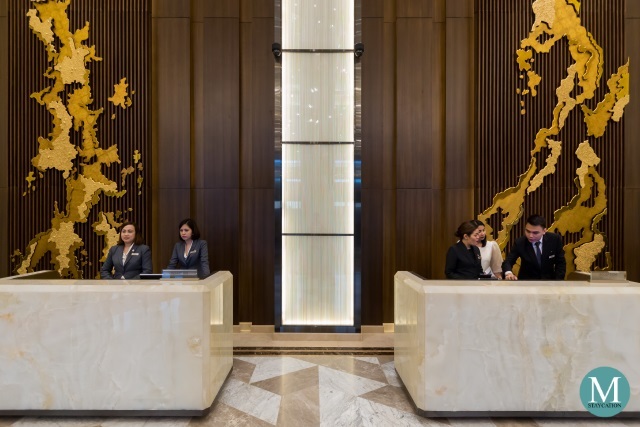 The golden mural behind the front desk represents both the physical archipelago of the Philippines and the abundance of gold and other precious metals of the islands. These are the main reasons why Manila played an important role in the global galleon trade. This central role of the Philippines in global trade is echoed in the present by the rapid development of the hospitality industry in the country. 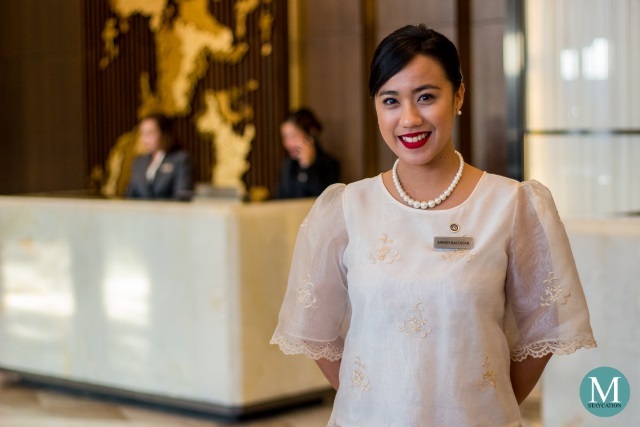 Completing the Sheraton Manila Hotel arrival experience is the warm welcoming smile and genuine hospitality of the hotel's reception team combined with the signature brand of hospitality by Sheraton Hotels. 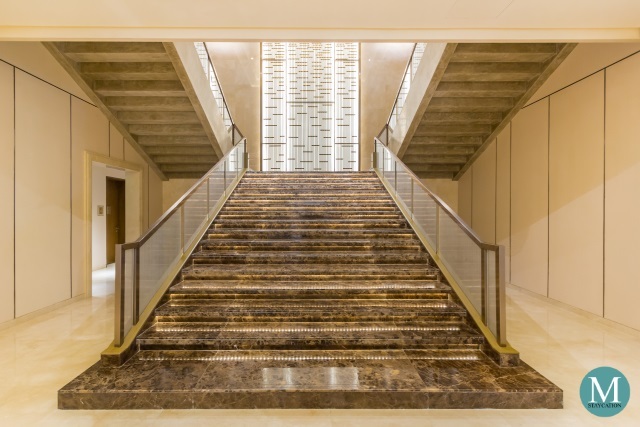 Being part of the Marriott International group, Sheraton Manila Hotel opens up Manila as a destination to discerning business and leisure travelers. 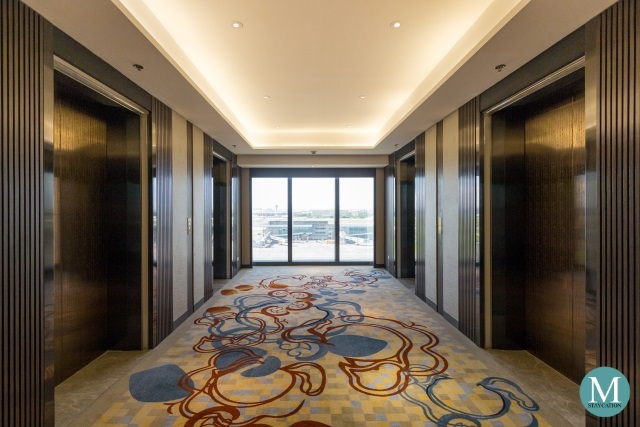 Sheraton Manila Hotel spans eleven floors with the common areas, dining outlets and meeting spaces located on the first three floors, while the guestrooms, suites and the club lounge occupying the 5th to 11th floors. Guests checked-in at the hotel enjoy one complimentary parking space per room booked. The parking spaces are located on basement 4 (B4) and is accessible via the ramp located next to the Grand Wing Casino. Valet service is also available. 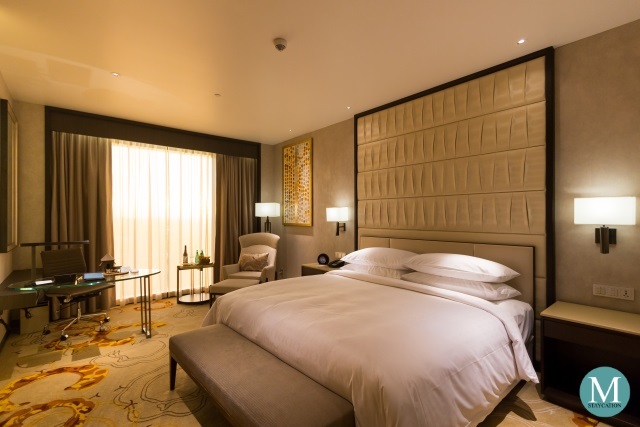 Sheraton Manila Hotel has a total of 390 well appointed Filipino-inspired guestrooms and suites with sweeping views of the city and of the hotel's swimming pool. 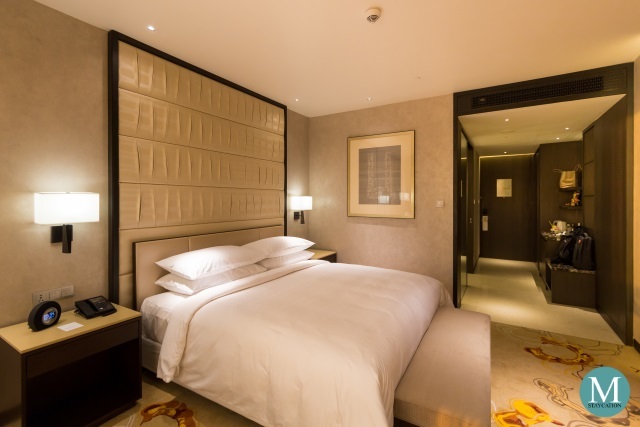 Sheraton Manila Hotel will also feature loft rooms, the first of its kind in luxury hotel accommodation in Manila. 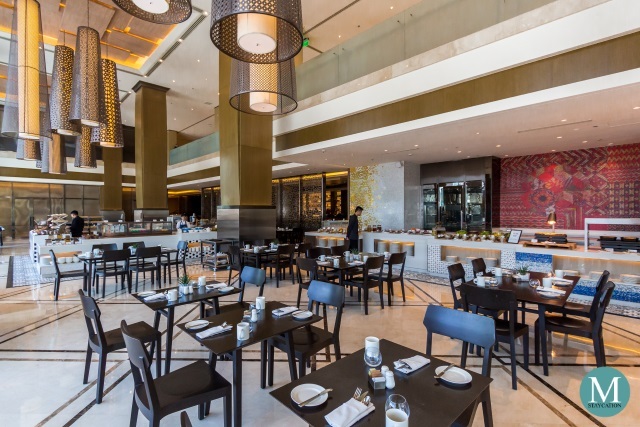 Sheraton Hotels & Resorts believes that Travel is Better when Paired, and global travelers are in for a surprise to discover new local flavors perfectly paired with the familiar classics. 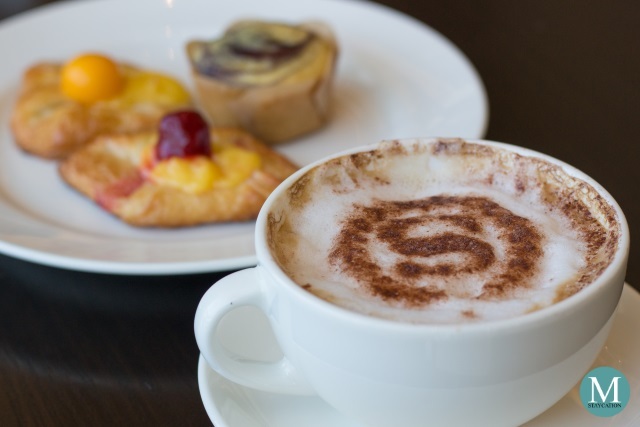 Here at Sheraton Manila Hotel, your stay is made memorable by its three dining outlets. Breakfast is the most important meal of the day and here at Sheraton Manila Hotel, choosing where you want to have your breakfast shouldn't be complicated. Whether you only have a few minutes to spare in the morning for breakfast, or you are following a certain diet program, or if you simply want to enjoy the comfort and privacy of your room, there is a breakfast venue that suits you best. Semi-Buffet Breakfast at the Club Lounge (Coming Soon) - guests staying in any of the Club Rooms or Suites enjoy semi-buffet breakfast at the Club Lounge as part of their exclusive benefits. The semi-buffet breakfast features a buffet of continental items plus breakfast dishes available from the a la carte menu. 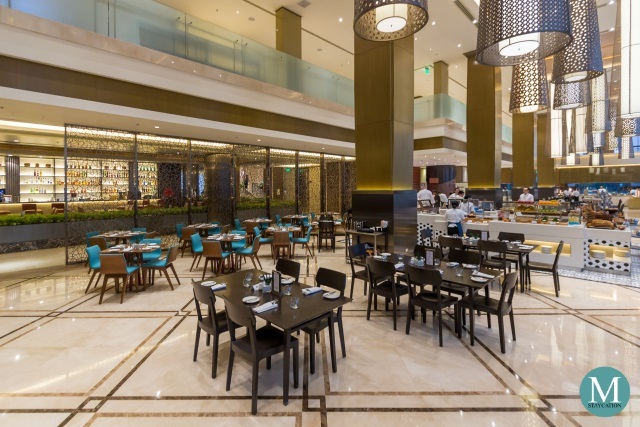 Alternatively, Club Lounge guests also have the option to enjoy the full breakfast buffet at S Kitchen. In-Room Breakfast - a comfortable way to enjoy your breakfast is by ordering in-room breakfast. You can choose from the set breakfast items such as Runway Manila Breakfast, All American Breakfast, and Continental Breakfast which all come with a choice of juice and beverage. Individual breakfast dishes are also available from the in-room breakfast menu. 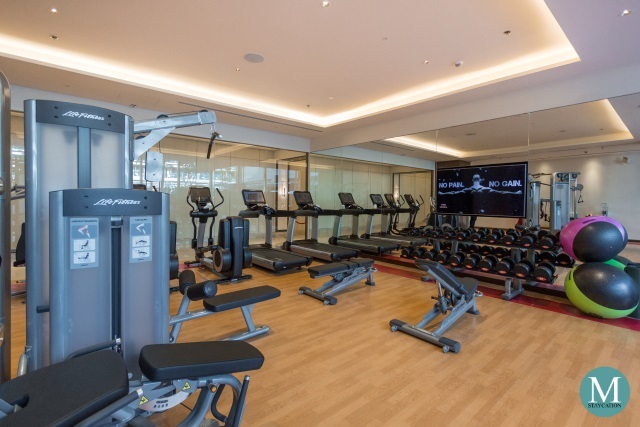 Guests staying at Sheraton Manila Hotel enjoy complimentary access to the hotel's fitness and wellness facilities. 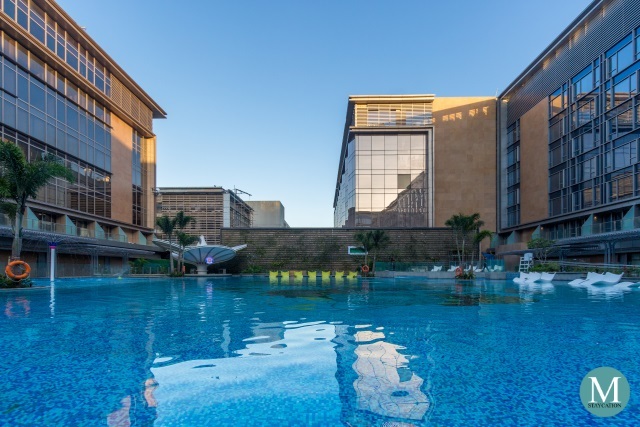 Sheraton Manila Hotel has a resort-style outdoor swimming pool which is open daily from 6:00am to 6:00pm. The swimming pool is mostly shaded in the early morning and late afternoon. 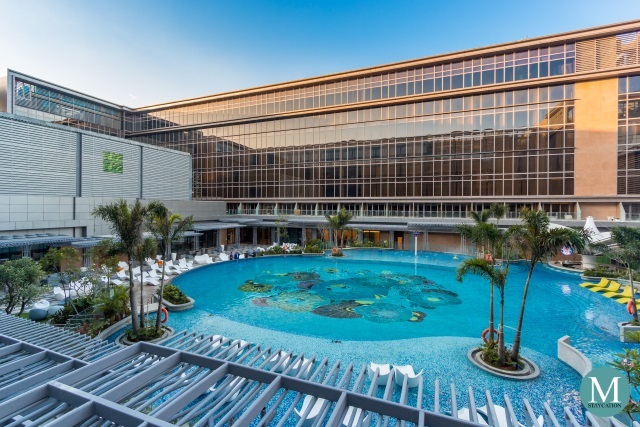 Being a newly opened hotel, the swimming pool doesn't get crowded even during weekends. 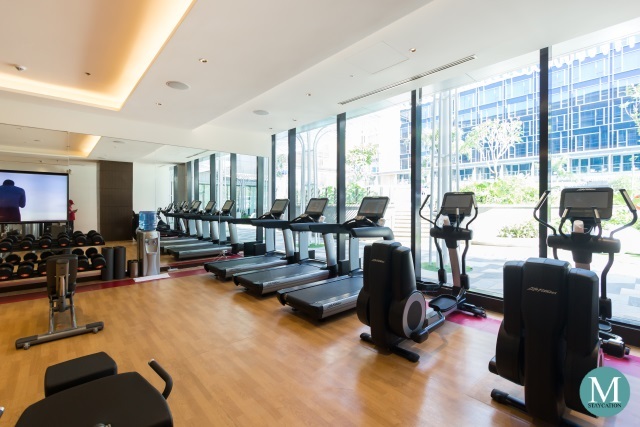 The hotel's fitness center is equipped with the latest treadmills, work-out machines and free weights. Open for 24 hours, guests can choose a workout schedule that best fits their daily activities. Fitness trainers are also on duty to assist you with your workout requirements. Soon to open is Shine Spa for Sheraton. Guests can choose from a wide selection of body treatments and massage packages. Whether you are arriving from a long-haul flight, a full day of city adventure, or just relaxing through a weekend staycation, a visit to the Shine Spa will definitely recharge your body and reinvigorate your senses. With the jet-setting business travelers in mind, Sheraton Manila Hotel designed meeting spaces that can cater to different group sizes and business service requirements. 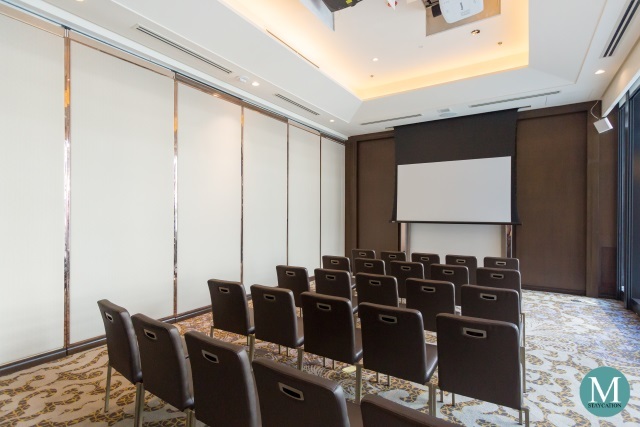 From tech-enabled private meeting rooms, to full-service function rooms and to a spacious ballroom that can accommodate up to 570 people, Sheraton Manila Hotel is the perfect venue for you to gather together. Sheraton Manila Hotel is located within the Resorts World Manila integrated-resort complex and stands right across from the Terminal 3 of Manila's Ninoy Aquino International Airport. 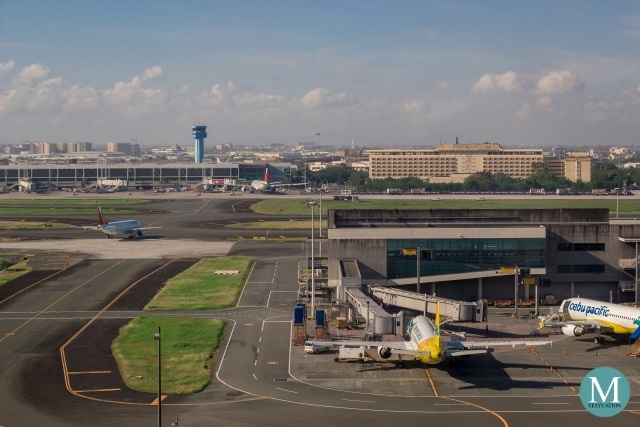 The hotel is easily accessible from Andrews Avenue, the main road that connects the airport to the key financial and commercial hubs of Manila. Airport Transfer - Arrive in style with the hotel's limousine service with rates starting from P2,040 per way. Alternatively, you can use the Grab ride hailing application on your mobile phone. You can also approach the Grab booth at the arrival area. Grab fare ranges from P110 to P180 depending on the car type you choose. You can also take advantage of the free shuttle service provided by Resorts World Manila (RWM). Just look for the RWM booth at the airport's arrival area and tell the staff that you will be checking in to Sheraton Manila Hotel. Moving Around - The most convenient way to travel around Manila is by using the Grab ride hailing application. Fare is fixed upon booking your ride. Drivers speak fairly good English. If you are unsure about your destination, just approach the hotel's concierge and they can help you use the Grab application.